藝術一瞥 – 鄧凝姿及鄧凝梅作品展, 側畫廊 2018. 9. 4-28,鄧氏工作室, 五樓05室,2018.9.15-16,賽馬會創意藝術中心. Hong Kong in March 香港三月, New Works of Tang Ying Chi exhibits at Centre Street Market at Westerm District, organized by Market Museum, 鄧凝姿新作品展於西環正街街市, 街市博物館主辦, 2018. 5. 15-20. Works at Artists Playground, Park Lane Hotel, Jan till end of March, 2018. YOR/K/ONG, Tales of two metropolises, Brooklyn Diamond, Atelier, 349 West Broadway, Soho, NYC, by Vozfire Gallery, 2018.2.1-2.4. A work entitled "As it is, as it goes 如斯如此" on Princess Changping 帝女花 with Barwo 八和 at the Hong Kong lnternational Airport, Terminal 2, Level 3, 6 July-12 Nov.2017. Front/Side On the Move First Station: Dongguan, China , Exhibition and Sharing 2017.1.14-22, Artist Co-op @ Fotanian, presented by Front/Side Galleries. Street people @ Stage Hotel, 2015 Sept onward. Resdiency at Art Quarter Budapest, Hungary, July-Aug, 2015. I speak Cantonese they speak Hungarian. Visiting Fellow, Hong Kong Design Institute, Jan-March, 2015, Hong Kong. Street people @ different locations, Dec, 2013-2015. Residency@WCJ, Sept 2011 to March 2012. Space/Power/Identities – a review of the image exhibition, ‘What do you want for tomorrow’,by Vicky Do, Sept. 25, 2016. '回家了'藝術貨櫃計劃藝術展及文獻展- 純粹藝術家群, June 1, 2014. 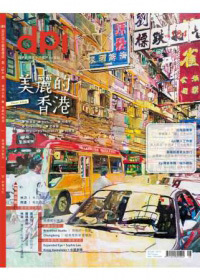 The following publication can be purchased at L505, JCCAC, 30 Pak Tin Street, Shek Kip Mei, Kowloon, Hong Kong, 賽馬會創意藝術中心, 香港九龍石硤尾白田街30號,五樓05窒. Sauntering through My City – Serial Works by Tang Ying Chi is the latest book of the artist, edited by art historian Dr. Lai Mei Lin, in which representative works created by the artistin different stagesof her career are showcased. 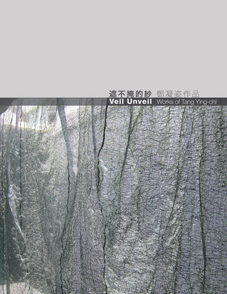 Apart from a brief introduction to the works in each of the first three chapters, the book also includes the academic articles by three local scholars including Frank Vigneron, Blues Wong, and Christian Chan as well as a preface detailing Tang Ying Chi's artistic concepts, objectives and expectations. Acenterfold poster and stickers are also attached tothe book with a view to facilitating the conduction of interactive and creative activities in primary and secondary schools as well asbroadening the base of potential readers. Sauntering through My Cityis a blend of words, images, theories and educational purposes, which warrants it to be an unprecedented attempt by a contemporary Hong Kong artist. Written by Isabella Tam with work images of Tang Ying-chi, the book provides in-depth study on isuues of culture and identity. There is gleam of light in the mountain far away. 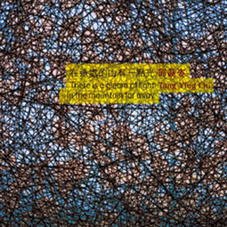 This book introduces the work of Tang Ying Chi before 2003.